I love blowdrying other peoples hair. My own, it's a chore. I'm always on the lookout for a hairdryer that can speed up the drying process and give a great blowdry. And the Elchim 3900 Healthy Ionic Hairdryer (£65) exclusive to Salons Direct, may just be the saviour to styling. The two speed, four heat and coldshot button are all pretty standard to hairdryers on the market today, but the promise of cutting drying time by 30% and nourishment and improving moisture is definitely something that gets my attention. Being the best seller worldwide for the past 30 years Elchim must be doing something right, and having used this hairdryer I have to say it really is a fantastic styling tool. It's very lightweight so would be great for salon use, or at home - and it's the quietest hairdryer I've ever used. Ever. So, the drying time, if you follow me on Instagram then you'll know aready. Under three minutes. That's some speedy drying right there.My hair may not be long but I have a lot of it. And another really random point to make. The plug isn't bulky. If you use a plug that is perhaps behind a cabinet or table, it can be a right pain to get a chunky plug in the space. The plug on the Elchim 3900 is slim - it's the little things that really make something great. 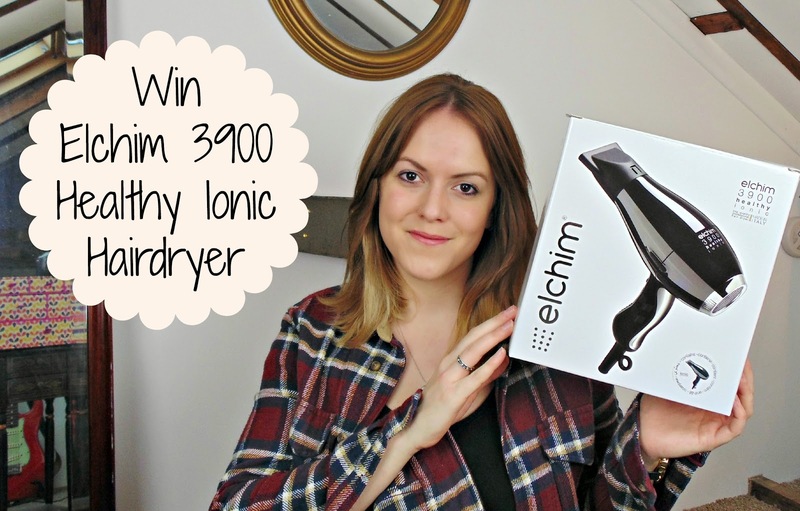 If you'd like to win a Elchim 3900 Healthy Ionic Hairdryer, you've got lots of options below to enter, and I'll pick a winner in two weeks time. Good Luck! Since getting my hair chopped a year ago, it only takes about 5-10 mins... It used to take 20! Don't know how I ever coped with that! Quite a while as mine is really lon so I have to do it section by section! Mine is long and thick so it seems like it takes forever. Maybe about 15 to 20 minutes. Feels like forever! I've got really thick curly hair so definitely a good half hour and then some! An awful long time - I have long hair and a lot of it! Even the hairdresser takes an age doing it!! My hairdryer is awful so it takes quite a while to dry unless you put it on the hottest setting but then my hair seems to dry out. 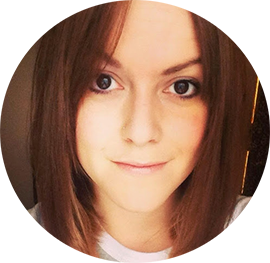 My hair is super thick and long so is a nightmare to blowdry! Takes at least 15-20 mins! It feels like forever but really its probably about 10-15 minutes because my hair is so thick! Mine takes about 10 minutes to blow dry. I am useless at blow drying my hair so it always takes so long to do. It takes me a good 20 minutes. Really need to give my hair a chop to save time! It takes my Wife around 20 mins and myself around 4 mins! My hair takes about 8 hours if I just leave it, or around 30 mins with a hairdryer. Its very long and very thick. About 15 minutes to dry. I have curly hair, so it depends if I'm straightening it or not. Either way, it takes too long! 25 mins at least, i have thick long hair, getting it cut on thursday! It takes me about five minutes to blow dry my hair, but then I mainly concentrate on the roots, to give volume. I don't know how long it takes but it is ages as I have very very thick and coarse hair. I would say between 5-10 min given the length. Mine takes about an hour if I decide to straighten it too. My hair is very frizzy and takes considerable amounts of taming. I try & rush it as much as possible, and probably spend 5 minutes tops. I'm just starting to grow out a pixie, so it only takes 5 minutes or so. not long, five monutes S MY HAIR IS VERY FINE. Omg I have waist-length hair so it definitely takes a long time to blowdry my hair! It takes around 30-40 minutes and tired arms. It takes me about 15-20 minutes depending on if I stop to put in products. I have fine hair and need it bone dry for volume on the top. Usually about 15 minutes but that is with no styling... just fast drying. First of all thank you for this lovely giveaway! Since I ve cut my hairs,it takes about 10minutes to dry. I have short hair; takes 1 minute max to dry. Thanks for the great giveaway and for the opportunity to participate. About 10 mins if I do it properly and don't rush it. It takes me 15 minutes to dry my hair. My hair is waist long, so i blow dry it in sections for 20-30 minutes! At least 30 mnins, tempted to have it all chopped off! About 30 mins, which is 30 mins too long! My hair is so thick, it drives me MAAAAAAD! About 20 minutes if I blast it. About 10 - 20 minutes depending how rushed I am. Ages! My hairs in a bob too but it just holds water!! To get it fully dry takes over an hour using a hair dryer. My hair is very thick & reaches my bum! Takes me about 15 minutes! 15 mins still never looks as good as a salon blow dry! It takes about 10 minutes for a rough dry but about 20 for a smooth dry, makes my arms ache! It takes about half an hour to blow dry my hair. About 10 minutes - when I can be bothered! About 20-30 mins if done properly. I only have a travel size hairdryer. It's GHD but it's not very good for my long hair! My hair doesn't take long at all, about 5 minutes. I have very fine, straight hair. My hair takes too long to blow-dry when I'm getting ready to go out. It takes about 30 mins to dry completely. Only a few minutes as my hair is fine and thinning unfortunately. About 15-20 mins, its very long! I have very fine hair so it dries in about 5 minutes. My hair is fine and I keep it fairly short so it only takes a few minutes to dry.